Arrane son Mannin (Song for Mann) is an annual competition in which groups perform newly composed Manx Gaelic songs in front of a jury. The winning song is taken to the Pan Celtic festival in Ireland and is performed in an Interceltic song contest. For a number of years, Culture Vannin has annually provided a small grant of prize money for the winners of the Arrane son Mannin competition. Recently, Culture Vannin have also covered the cost of the venue and PA equipment for this community event. This year, newly formed group Shenn Scoill won Arrane son Mannin with their song Tayrn mee thie (Drawing me home). 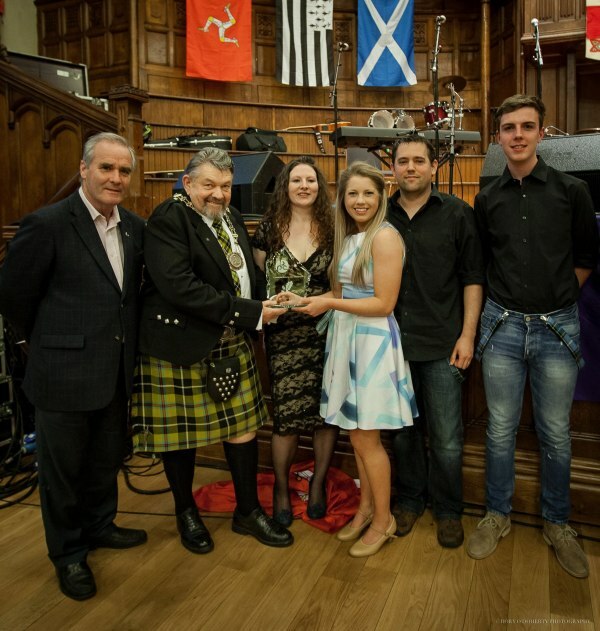 Shenn Scoill subsequently took their song to Derry-Londonderry, where they won the overall Interceltic song contest; the first Manx band ever to do so! Jeant dy mie, ooilley.